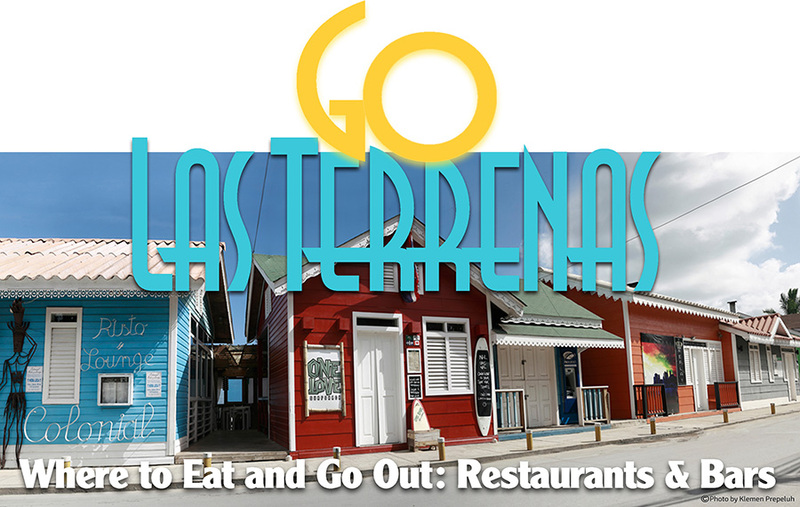 Best Restaurants, Bars & Nightlife in Terrenas Dominican Republic. has by far the most extensive restaurants selection in the whole Samana Province. With over 80 Restaurants to choose from, Las Terrenas offers by far the best and largest selection of Fine Dining Restaurants, Beach Restaurants and a myriad of Beach Bars doted along the 10 kms of golden sand beaches. Also the Nightlife is truly TOP in Las Terrenas. 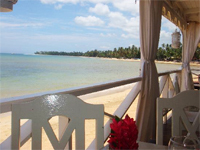 You'll find also the best choice of Beach Bars, Night Clubs and Discos anywhere in the Samana peninsula. 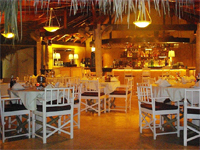 Guide of the best Restaurants & Bars and best Nightlife in Las Terrenas. From French to Asian cuisine, from beach restaurants to elegant dining, from Seafood specialties to oven Pizza, you'll find it all right here. Find the Bars, Clubs and Nightlife in the section below. Owners Lilo and Daniel of Mi Corazon welcomes you to an amazing Gastronomic experience oftenly voted as the "Best Fine Dining" place in Las Terrenas. Rated #1 on Trip Advisor. 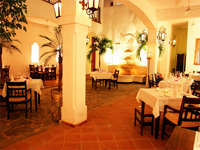 Hacienda style decor accompanied by extensive menu and world class desserts. 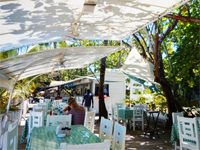 Le Tre Caravelle : Top 10 Rated Restaurant in Las Terrenas on Trip Advisor. 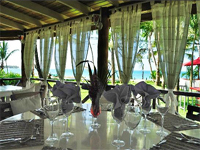 Cozy lunch and fine dining restaurant with a covered terrace, a nice garden with parasols for romantic dinners and beach tables located only 5 meters from the oceanfront. Located right on the beach in Las Terrenas. Great lunch place with your toes in the sand. Fine dining at night in their Restaurant accross the street. From Baby Lobster pastas to Filet Mignon cooked to perfection, Chez Sandro is a top spot favorite in Las Terrenas ! One of the Favorite Restaurant located in the famous Fisherman's Village ( Pueblo de Los Pescadores )This one is the premier "white table cloth" experience. Large deck with outdoor seating on the edge of the beach. Great atmosphere in a memorable romantic setting. 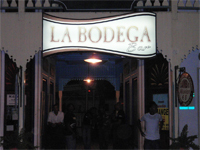 Best Bars, Clubs, Discos and Nighlife in Las Terrenas Dominican Republic. 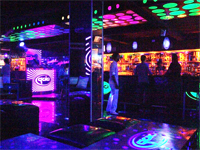 By far the most modern Night Club in Las Terrenas located at Fishermans Village. Sergio, the super friendly owner will make sure you have a good time ! Three stories high Dance Club with different types of music on each floors. Third floor has now a new Sushi bar. One of the best dancing club in town. You can dance Salsa, Bachata, Merengue and sometimes Dembow and Reageton. Tuesdays and Thursdays, local dance school dancers invite people to learn and dance. Great place to connect and meet people in a casual setting. 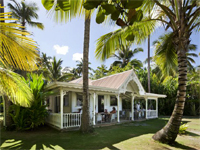 Beach Bar located in beautiful Playa Poppy in Las Terrenas. Simply the Best Mojitos and Coktails selection anywhere in Las Terrenas. Fun atmosphere right by the ocean, with really friendly service. A must place to discover during your vacation. Come enjoy by day or by night !